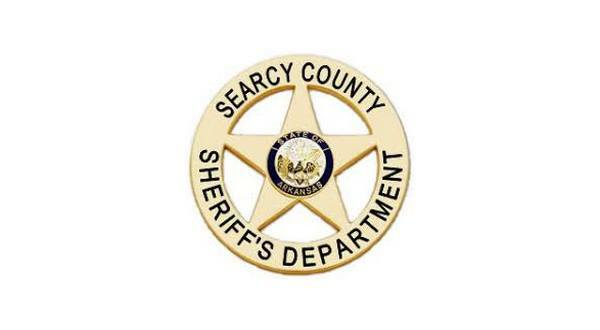 A Searcy County man has been arrested and charged with a felony count of possession of drug paraphernalia, following an incident in which a meth pipe reportedly fell from his pants pocket as he talked on his front porch with a deputy. As he attempted to step on the pipe containing methamphetamine residue, he allegedly said to the deputy, "That's not good." According to the probable cause affidavit, the deputy had gone to the residence of 58-year-old Kevin Massey along Oxley Road in Leslie on Dec. 18th to discuss information regarding a stolen gun. Law enforcement believed the weapon was in Massey's possession. When the deputy asked Massey to step away from the pipe, the Searcy County man is alleged to have called the officer by his first name, added an expletive, and told the officer he couldn't let him leave. Massey then allegedly grabbed the deputy by the waist to gain control of him, with a short physical altercation ensuing. The officer managed to take Massey to the ground, while the Searcy County man continued to resist being cuffed. Massey then began yelling to a female inside the residence. When the woman exited the home, she reportedly began yelling at Massey, saying, "Great. They are going to find all of your paraphernalia in the back room." The woman turned to the screen door and began acting like she was speaking with someone inside the home, as she attempted to reenter the residence. When instructed by the deputy not to enter the home, she complied but began ranting in a manner he could not understand. When the deputy attempted to call for assistance via his handheld radio, he was unable to transmit, leading him to phone dispatch for backup. As officers attempted to arrest the female, she allegedly threw a plastic bag and a glass pipe off the porch. The pipe had what appeared to be marijuana residue on it. The deputy reportedly sustained abrasions to his arm in his attempt to take Massey into custody. Massey told law enforcement he tripped on a "small glass thing on the porch" while he was talking with the deputy. When questioned further, he requested an attorney. Massey also faces misdemeanor counts of resisting arrest and battery in the third degree. The amount of his bond was not provided on online court documents.